From Goodreads ~ Mlle. 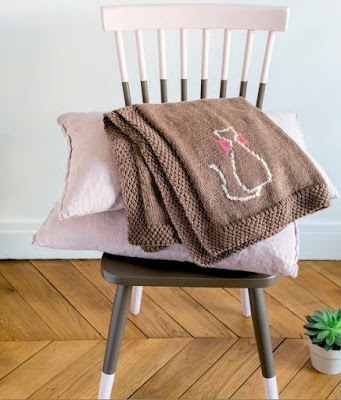 Sophie's designs have a timeless vibe that works well in any decor; just change the yarn color to suit your favorite palette. 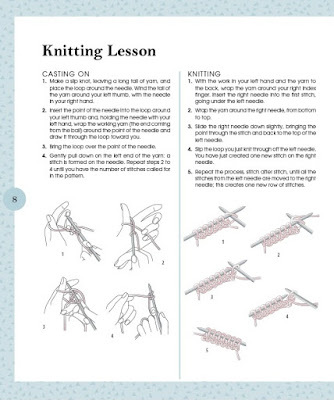 The 18 fun-to-knit patterns are suitable for beginners but with just enough detail to keep the knitting interesting. Knit for your family room, nursery, bedroom, and more. A stylish throw makes any room more welcoming. A blanket makes a great gift, too. Send off a recent grad to college with a throw in school colors. Welcome a baby with fluffy softness. Warm a home with a new elegant afghan. This is a book that you will turn to for years to come. I am a knitter and I have been getting the urge to knit lately but I don't know what. 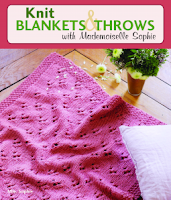 I've made a few afghans over the years and looked to this book for inspiration. The book starts with an introduction about the materials needed. 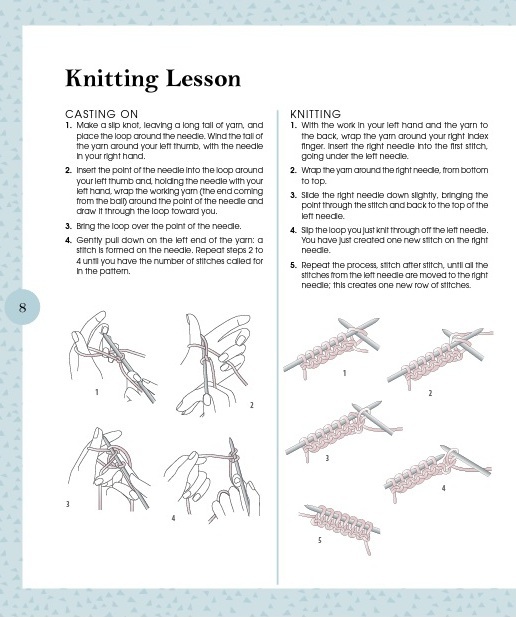 Then there are knitting lessons with diagrams on casting on and binding off stitches, knitting and purling, stockinette and garter stitches, ribbing, increasing and decreasing stitches, etc. 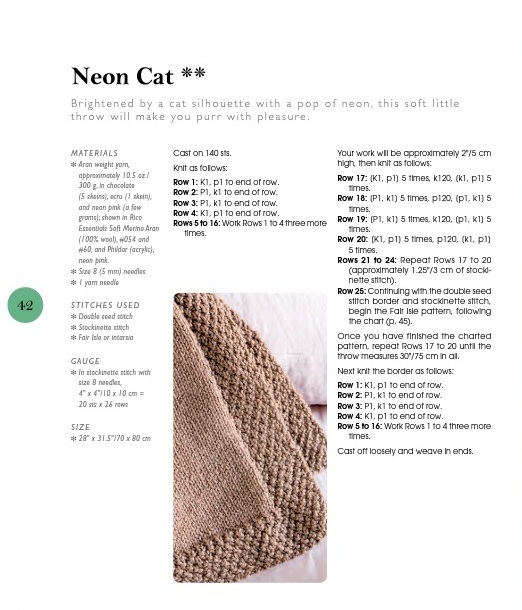 There are patterns for 18 throws and blankets ... some are ideal for a beginner while others are more complicated for the more experienced knitters (they are coded according to their complexity). The throws and blankets are lovely and presented with full colour pictures and have names like Color Block, Checkerboard, Tweed, Sweet Ballerina and Neon Cat. It's a very nice book! Click here to contact me. I live in Toronto, Canada, with my husband, Gord, and our kitties, Crumpet (born April 1, 2011) and Muffin (born March 30, 2017). Tweets by @TeenainToronto I'm on Instagram! get organized with 30 Boxes! Meet Carly + Joni – A Beautiful Bonded Pair! Share book reviews and ratings with Teena in Toronto, and even join a book club on Goodreads.